Not to be confused with Pteropoda, marine gastropods. Theropoda (/θɪərˈɒpədə/ or /ˌθɪərəˈpoʊdə/, from Greek θηρίον "wild beast" and πούς,πόδις "foot") or theropods (/ˈθɪərəˌpɒdz/) are a group of saurischian dinosaurs. Theropods were ancestrally carnivorous, although a number of theropod groups evolved herbivory, omnivory, piscivory, and insectivory. Theropods first appeared during the Carnian age of the late Triassic period 231.4 million years ago (Ma) and included the sole large terrestrial carnivores from the Early Jurassic until at least the close of the Cretaceous, about 66 Ma. In the Jurassic, birds evolved from small specialized coelurosaurian theropods, and are today represented by 10,000 living species. Theropods exhibit a wide range of diets, from insectivores to herbivores and carnivores. Strict carnivory has always been considered the ancestral diet for theropods as a group, and a wider variety of diets was historically considered a characteristic exclusive to the avian theropods (birds). However, discoveries in the late 20th and early 21st centuries showed that a variety of diets existed even in more basal lineages. All early finds of theropod fossils showed them to be primarily carnivorous. Fossilized specimens of early theropods known to scientists in the 19th and early 20th centuries all possessed sharp teeth with serrated edges for cutting flesh, and some specimens even showed direct evidence of predatory behavior. For example, a Compsognathus longipes fossil was found with a lizard in its stomach, and a Velociraptor mongoliensis specimen was found locked in combat with a Protoceratops andrewsi (a type of ornithischian dinosaur). The first confirmed non-carnivorous fossil theropods found were the therizinosaurs, originally known as segnosaurs. First thought to be prosauropods, these enigmatic dinosaurs were later proven to be highly specialized, herbivorous theropods. Therizinosaurs possessed large abdomens for processing plant food, and small heads with beaks and leaf-shaped teeth. Further study of maniraptoran theropods and their relationships showed that therizinosaurs were not the only early members of this group to abandon carnivory. Several other lineages of early maniraptors show adaptations for an omnivorous diet, including seed-eating (some troodontids) and insect-eating (many avialans and alvarezsaurs). Oviraptorosaurs, ornithomimosaurs and advanced troodontids were likely omnivorous as well, and some early theropods (such as Masiakasaurus knopfleri and the spinosaurids) appear to have specialized in catching fish. Diet is largely deduced by the tooth morphology, tooth marks on bones of the prey, and gut contents. Some theropods, such as Baryonyx, Lourinhanosaurus, ornithomimosaurs, and birds, are known to use gastroliths, or gizzard-stones. The majority of theropod teeth are blade-like, with serration on the edges, called ziphodont. Others are pachydont, and phyllodont depending on the shape of the tooth or denticles. The morphology of the teeth is distinct enough to tell the major families apart, which indicate different diet strategies. An investigation in July 2015 discovered that what appeared to be "cracks" in their teeth were actually folds that helped to prevent tooth breakage by strengthening individual serration as they attacked their prey. The folds helped the teeth stay in place longer, especially as theropods evolved into larger sizes and had more force in their bite. Fossil of a Anchiornis, showing large preserved feather imprints. Mesozoic theropods were also very diverse in terms of skin texture and covering. Feathers or feather-like structures are attested in most lineages of theropods. (See feathered dinosaur). However, outside the coelurosaurs, feathers may have been confined to the young, smaller species, or limited parts of the animal. Many larger theropods had skin covered in small, bumpy scales. In some species, these were interspersed with larger scales with bony cores, or osteoderms. This type of skin is best known in the ceratosaur Carnotaurus, which has been preserved with extensive skin impressions. The coelurosaur lineages most distant from birds had feathers that were relatively short and composed of simple, possibly branching filaments. Simple filaments are also seen in therizinosaurs, which also possessed large, stiffened "quill"-like feathers. More fully feathered theropods, such as dromaeosaurs, usually retain scales only on the feet. Some species may have mixed feathers elsewhere on the body as well. Scansoriopteryx preserved scales near the underside of the tail, and Juravenator may have been predominantly scaly with some simple filaments interspersed. On the other hand, some theropods were completely covered with feathers, such as the troodontid Anchiornis, which even had feathers on the feet and toes. Tyrannosaurus was for many decades the largest theropod and best-known to the general public. Since its discovery, however, a number of other giant carnivorous dinosaurs have been described, including Spinosaurus, Carcharodontosaurus, and Giganotosaurus. The original Spinosaurus specimens (as well as newer fossils described in 2006) support the idea that Spinosaurus is larger than Tyrannosaurus, showing that Spinosaurus was possibly 6 meters longer and at least 1 metric ton heavier than Tyrannosaurus though Tyrannosaurus could still be taller than Spinosaurus. There is still no clear explanation for exactly why these animals grew so much larger than the land predators that came before and after them. The largest extant theropod is the common ostrich, up to 2.74 m (9 ft) tall and weighing between 63.5 and 145.15 kg (140 - 320 lb). The smallest non-avialan theropod known from adult specimens is the troodontid Anchiornis huxleyi, at 110 grams in weight and 34 centimeters (1 ft) in length. When modern birds are included, the bee hummingbird Mellisuga helenae is smallest at 1.9 g and 5.5 cm (2.2 in) long. Recent theories propose that theropod body size shrank continuously over the past 50 million years, from an average of 163 kilograms (359 lb) down to 0.8 kilograms (1.8 lb), eventually evolving into modern birds. This was based on evidence that theropods were the only dinosaurs to get continuously smaller, and that their skeletons changed four times as fast as those of other dinosaur species. An ostrich walking on a road in Etosha National Park, Namibia. As a hugely diverse group of animals, the posture adopted by theropods likely varied considerably between various lineages through time. Almost all known theropods are known to be bipedal, with the forelimbs reduced in length and specialized for a wide variety of tasks (see below). In modern birds, the body is typically held in a somewhat upright position, with the upper leg (femur) held parallel to the spine and with the forward force of locomotion generated at the knee. Scientists are not certain how far back in the theropod family tree this type of posture and locomotion extends. Non-avian theropods were first recognized as bipedal during the 19th century, before their relationship to birds was widely accepted. During this period, theropods such as carnosaurs and tyrannosaurids were thought to have walked with vertical femurs and spines in an upright, nearly erect posture, using their long, muscular tails as additional support in a kangaroo-like tripodal stance. Beginning in the 1970s, biomechanical studies of extinct giant theropods cast doubt on this interpretation. Studies of limb bone articulation and the relative absence of trackway evidence for tail dragging suggested that, when walking, the giant, long-tailed theropods would have adopted a more horizontal posture with the tail held parallel to the ground. However, the orientation of the legs in these species while walking remains controversial. Some studies support a traditional vertically oriented femur, at least in the largest long-tailed theropods, while others suggest that the knee was normally strongly flexed in all theropods while walking, even giants like the tyrannosaurids. It is likely that a wide range of body postures, stances, and gaits existed in the many extinct theropod groups. Although rare, complete casts of theropod endocrania are known from fossils. Theropod endocrania can also be reconstructed from preserved brain cases without damaging valuable specimens by using a computed tomography scan and 3D reconstruction software. These finds are of evolutionary significance because they help document the emergence of the neurology of modern birds from that of earlier reptiles. An increase in the proportion of the brain occupied by the cerebrum seems to have occurred with the advent of the Coelurosauria and "continued throughout the evolution of maniraptorans and early birds." Shortened forelimbs in relation to hind legs was a common trait among theropods, most notably in the abelisaurids (such as Carnotaurus) and the tyrannosaurids (such as Tyrannosaurus). This trait was, however, not universal: spinosaurids had well developed forelimbs, so also did many coelurosaurs. One genus, Xuanhanosaurus, has also been claimed to have been quadrupedal because of its comparatively robust forelimbs, but this is no longer thought to be likely. The hands are also very different among the different groups; the most common is an appendage consisting of three fingers, the digits I, II and III (or possibly II, III and IV) with sharp claws. Some basal theropods (Herrerasaurus, Eoraptor) had four digits, and also a reduced metacarpal V. Ceratosaurians usually had four digits, while most tetanurans had three. The forelimbs' scope of use is also believed to have also been different among different families. The spinosaurids could have used their powerful forelimbs to hold fish. Some small coelurosaurus (dromaeosaurids, scansoriopterygids) are believed to have used their forelimbs to climb in trees, and modern birds, which are theropod dinosaurs, use them for flight. Contrary to the way theropods have often been reconstructed in art and the popular media, the range of motion of theropod forelimbs was severely limited, especially compared with the forelimb dexterity of humans and other primates. Most notably, theropods and other bipedal saurischian dinosaurs (including the bipedal prosauropods) could not pronate their hands—that is, they could not rotate the forearm so that the palms faced the ground or backwards towards the legs. In humans, pronation is achieved by motion of the radius relative to the ulna (the two bones of the forearm). In saurischian dinosaurs, however, the end of the radius near the elbow was actually locked into a groove of the ulna, preventing any movement. Movement at the wrist was also limited in many species, forcing the entire forearm and hand to move as a single unit with little flexibility. In theropods and prosauropods, the only way for the palm to face the ground would have been by lateral splaying of the entire forelimb, as in a bird raising its wing. In carnosaurs like Acrocanthosaurus, the hand itself retained a relatively high degree of flexibility, with mobile fingers. This was also true of more basal theropods, such as herrerasaurs and dilophosaurs. Coelurosaurs showed a shift in the use of the forearm, with greater flexibility at the shoulder allowing the arm to be raised towards the horizontal plane, and to even greater degrees in flying birds. However, in coelurosaurs, such as ornithomimosaurs and especially dromaeosaurs, the hand itself had lost most flexibility, with highly inflexible fingers. Dromaeosaurs and other maniraptorans also showed increased mobility at the wrist not seen in other theropods, thanks to the presence of a specialized half-moon shaped wrist bone (the semi-lunate carpal) that allowed the whole hand to fold backward towards the forearm in the manner of modern birds. In 2001, Ralph E. Molnar published a survey of pathologies in theropod dinosaur bone. He found pathological features in 21 genera from 10 families. Pathologies were found in theropods of all body size although they were less common in fossils of small theropods, although this may be an artifact of preservation. They are very widely represented throughout the different parts of theropod anatomy. The most common sites of preserved injury and disease in theropod dinosaurs are the ribs and tail vertebrae. Despite being abundant in ribs and vertebrae, injuries seem to be "absent... or very rare" on the bodies' primary weight supporting bones like the sacrum, femur, and tibia. The lack of preserved injuries in these bones suggests that they were selected by evolution for resistance to breakage. The least common sites of preserved injury are the cranium and forelimb, with injuries occurring in about equal frequency at each site. Most pathologies preserved in theropod fossils are the remains of injuries like fractures, pits, and punctures, often likely originating with bites. Some theropod paleopathologies seem to be evidence of infections, which tended to be confined only to small regions of the animal's body. Evidence for congenital malformities have also been found in theropod remains. Such discoveries can provide information useful for understanding the evolutionary history of the processes of biological development. Unusual fusions in cranial elements or asymmetries in the same are probably evidence that one is examining the fossils of an extremely old individual rather than a diseased one. The trackway of a swimming theropod, the first in China of the ichnogenus named Characichnos, was discovered at the Feitianshan Formation in Sichuan. These new swim tracks support the hypothesis that theropods were adapted to swimming and capable of traversing moderately deep water. Dinosaur swim tracks are considered to be rare trace fossils, and are among a class of vertebrate swim tracks that also include those of pterosaurs and crocodylomorphs. The study described and analyzed four complete natural molds of theropod foot prints that are now stored at the Huaxia Dinosaur Tracks Research and Development Center (HDT). These dinosaur footprints were in fact claw marks, which suggest that this theropod was swimming near the surface of a river and just the tips of its toes and claws could touch the bottom. The tracks indicate a coordinated, left-right, left-right progression, which supports the proposition that theropods were well-coordinated swimmers. During the late Triassic, a number of primitive proto-theropod and theropod dinosaurs existed and evolved alongside each other. The earliest and most primitive of the theropod dinosaurs were the carnivorous Eodromaeus and the herrerasaurids of Argentina (as well as, possibly, the omnivorous Eoraptor). The herrerasaurs existed during the early late Triassic (Late Carnian to Early Norian). They were found in North America and South America and possibly also India and Southern Africa. 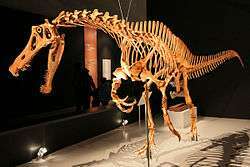 The herrerasaurs were characterised by a mosaic of primitive and advanced features. Some paleontologists have in the past considered the herrerasaurians to be members of Theropoda, while other theorized the group to be basal saurischians, and may even have evolved prior to the saurischian-ornithischian split. Cladistic analysis following the discovery of Tawa, another Triassic dinosaur, suggests the herrerasaurs likely were early theropods. The earliest and most primitive unambiguous theropods (or alternatively, "Eutheropoda" – 'True Theropods') are the Coelophysoidea. The Coelophysoidea were a group of widely distributed, lightly built and potentially gregarious animals. They included small hunters like Coelophysis and (possibly) larger predators like Dilophosaurus. These successful animals continued from the Late Carnian (early Late Triassic) through to the Toarcian (late Early Jurassic). Although in the early cladistic classifications they were included under the Ceratosauria and considered a side-branch of more advanced theropods, they may have been ancestral to all other theropods (which would make them a paraphyletic group). The somewhat more advanced ceratosaurs (including Ceratosaurus and Carnotaurus) appeared during the Early Jurassic and continued through to the Late Jurassic in Laurasia. They competed alongside their more anatomically advanced tetanuran relatives and—in the form of the abelisaur lineage—lasted to the end of the Cretaceous in Gondwana. The Tetanurae are more specialised again than the ceratosaurs. They are subdivided into the basal Megalosauroidea (alternately Spinosauroidea) and the more derived Avetheropoda. Megalosauridae were primarily Middle Jurassic to Early Cretaceous predators, and their spinosaurid relatives' remains are mostly from Early and Middle Cretaceous rocks. Avetheropoda, as their name indicates, were more closely related to birds and are again divided into the Allosauroidea (the diverse carcharodontosaurs) and the Coelurosauria (a very large and diverse dinosaur group including the birds). Thus, during the late Jurassic, there were no fewer than four distinct lineages of theropods—ceratosaurs, megalosaurs, allosaurs, and coelurosaurs—preying on the abundance of small and large herbivorous dinosaurs. All four groups survived into the Cretaceous, and three of those—the ceratosaurs, coelurosaurs, and allosaurs—survived to end of the period, where they were geographically separate, the ceratosaurs and allosaurs in Gondwana, and the coelurosaurs in Laurasia. Of all the theropod groups, the coelurosaurs were by far the most diverse. Some coelurosaur groups that flourished during the Cretaceous were the tyrannosaurids (including Tyrannosaurus), the dromaeosaurids (including Velociraptor and Deinonychus, which are remarkably similar in form to the oldest known bird, Archaeopteryx), the bird-like troodontids and oviraptorosaurs, the ornithomimosaurs (or "ostrich dinosaurs"), the strange giant-clawed herbivorous therizinosaurs, and the avialans, which include modern birds and is the only dinosaur lineage to survive the Cretaceous–Paleogene extinction event. While the roots of these various groups are found in the Middle Jurassic, they only became abundant during the Early Cretaceous. A few paleontologists, such as Gregory S. Paul, have suggested that some or all of these advanced theropods were actually descended from flying dinosaurs or proto-birds like Archaeopteryx that lost the ability to fly and returned to a terrestrial habitat. On July 31, 2014, scientists reported details of the evolution of birds from other theropod dinosaurs. 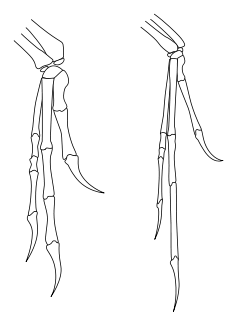 Among the features linking theropod dinosaurs to birds are a furcula (wishbone), air-filled bones, brooding of the eggs, and (in coelurosaurs, at least) feathers. O.C. 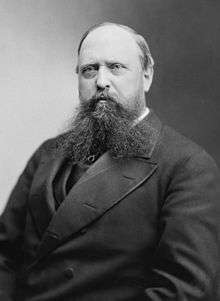 Marsh coined the name theropoda (meaning "beast feet") in 1881. Marsh initially named Theropoda as a suborder to include the family Allosauridae, but later expanded its scope, re-ranking it as an order to include a wide array of "carnivorous" dinosaur families, including Megalosauridae, Compsognathidae, Ornithomimidae, Plateosauridae and Anchisauridae (now known to be herbivorous prosauropods) and Hallopodidae (subsequently revealed as relatives of crocodilians). Due to the scope of Marsh's Order Theropoda, it came to replace a previous taxonomic group that Marsh's rival E.D. Cope had created in 1866 for the carnivorous dinosaurs: Goniopoda ("angled feet"). By the early 20th century, some paleontologists, such as Friedrich von Huene, no longer considered carnivorous dinosaurs to have formed a natural group. Huene abandoned the name "Theropoda", instead using Harry Seeley's Order Saurischia, which Huene divided into the suborders Coelurosauria and Pachypodosauria. Huene placed most of the small theropod groups into Coelurosauria, and the large theropods and prosauropods into Pachypodosauria, which he considered ancestral to the Sauropoda (prosauropods were still thought of as carnivorous at that time, owing to the incorrect association of rauisuchian skulls and teeth with prosauropod bodies, in animals such as Teratosaurus). In W.D. Matthew and Barnum Brown's 1922 description of the first known dromaeosaurid (Dromaeosaurus albertensis), they became the first paleontologists to exclude prosauropods from the carnivorous dinosaurs, and attempted to revive the name "Goniopoda" for that group, but other scientists did not accept either of these suggestions. In 1956, "Theropoda" came back into use - as a taxon containing the carnivorous dinosaurs and their descendants - when Alfred Romer re-classified the Order Saurischia into two suborders, Theropoda and Sauropoda. This basic division has survived into modern paleontology, with the exception of, again, the Prosauropoda, which Romer included as an infraorder of theropods. Romer also maintained a division between Coelurosauria and Carnosauria (which he also ranked as infraorders). This dichotomy was upset by the discovery of Deinonychus and Deinocheirus in 1969, neither of which could be classified easily as "carnosaurs" or "coelurosaurs". In light of these and other discoveries, by the late 1970s Rinchen Barsbold had created a new series of theropod infraorders: Coelurosauria, Deinonychosauria, Oviraptorosauria, Carnosauria, Ornithomimosauria, and Deinocheirosauria. With the advent of cladistics and phylogenetic nomenclature in the 1980s, and their development in the 1990s and 2000s, a clearer picture of theropod relationships began to emerge. Jacques Gauthier named several major theropod groups in 1986, including the clade Tetanurae for one branch of a basic theropod split with another group, the Ceratosauria. As more information about the link between dinosaurs and birds came to light, the more bird-like theropods were grouped in the clade Maniraptora (also named by Gauthier in 1986). These new developments also came with a recognition among most scientists that birds arose directly from maniraptoran theropods and, on the abandonment of ranks in cladistic classification, with the re-evaluation of birds as a subset of theropod dinosaurs that survived the Mesozoic extinctions and lived into the present. Passer domesticus, an avian, and the world's most widespread extant wild theropod. The following is a simplified classification of theropod groups based on their evolutionary relationships, and organized based on the list of Mesozoic dinosaur species provided by Holtz (2008). A more detailed version can be found at Dinosaur classification. The cross (†) is used to signify groups with no living members. The following family tree illustrates a synthesis of the relationships of the major theropod groups based on various studies conducted in the 2010s. ↑ Holtz, Thomas R. Jr. (2012). Dinosaurs: The Most Complete, Up-to-Date Encyclopedia for Dinosaur Lovers of All Ages, Winter 2011 Appendix. ↑ See analogous pronunciation of Gastropoda - definition of Gastropoda in English from the Oxford dictionary. ↑ "Theropod". Dictionary.com Unabridged. Random House. ↑ Alcober, Oscar A.; Martinez, Ricardo N. (19 October 2010). "A new herrerasaurid (Dinosauria, Saurischia) from the Upper Triassic Ischigualasto Formation of northwestern Argentina". ZooKeys. 63 (63): 55–81. doi:10.3897/zookeys.63.550. PMC 3088398 . PMID 21594020. ↑ Zanno, Lindsay E.; Gillette, David D.; Albright, L. Barry; Titus, Alan L. (25 August 2010). "A new North American therizinosaurid and the role of herbivory in 'predatory' dinosaur evolution". Proceedings of the Royal Society B. 276 (1672). doi:10.1098/rspb.2009.1029. ↑ Longrich, Nicholas R.; Currie, Philip J. (February 2009). "Albertonykus borealis, a new alvarezsaur (Dinosauria: Theropoda) from the Early Maastrichtian of Alberta, Canada: Implications for the systematics and ecology of the Alvarezsauridae". Cretaceous Research. 30 (1): 239–252. doi:10.1016/j.cretres.2008.07.005. ↑ Holtz, T.R. ; Jr; Brinkman, D.L. ; Chandler, C.L. (1998). "Dental morphometrics and a possibly omnivorous feeding habit for the theropod dinosaur Troodon". GAIA. 15: 159–166. ↑ Hendrickx, C.; Mateus, O. (2014). "Abelisauridae (Dinosauria: Theropoda) from the Late Jurassic of Portugal and dentition-based phylogeny as a contribution for the identification of isolated theropod teeth". Zootaxa. 3759: 1–74. doi:10.11646/zootaxa.3759.1.1. ↑ Hendrickx, Christophe; Mateus, Octávio; Araújo, Ricardo (2015). "A proposed terminology of theropod teeth (Dinosauria, Saurischia)". Journal of Vertebrate Paleontology. 35 (e982797). doi:10.1080/02724634.2015.982797. ↑ Hendrickx, C; Mateus, O (2014). "Abelisauridae (Dinosauria: Theropoda) from the Late Jurassic of Portugal and dentition-based phylogeny as a contribution for the identification of isolated theropod teeth". Zootaxa. 3759: 1–74. doi:10.11646/zootaxa.3759.1.1. ↑ Geggel, Laura (28 July 2015). "One tough bite: T. rex's teeth had secret weapon". Fox News. Retrieved 1 August 2015. ↑ "Special Serrations Gave Carnivorous Dinosaurs an Evolutionary Edge". ↑ "Developmental and evolutionary novelty in the serrated teeth of theropod dinosaurs". ↑ Bonaparte, Novas, and Coria (1990). "Carnotaurus sastrei Bonaparte, the horned, lightly built carnosaur from the Middle Cretaceous of Patagonia." Contributions in Science (Natural History Museum of Los Angeles County), 416: 41 pp. ↑ Göhlich, U.B. ; Chiappe, L.M. (16 March 2006). "A new carnivorous dinosaur from the Late Jurassic Solnhofen archipelago". Nature. 440 (7082): 329–332. doi:10.1038/nature04579. PMID 16541071. ↑ Goehlich, U.B. ; Tischlinger, H.; Chiappe, L.M. (2006). "Juraventaor starki (Reptilia, Theropoda) ein nuer Raubdinosaurier aus dem Oberjura der Suedlichen Frankenalb (Sueddeutschland): Skelettanatomie und Wiechteilbefunde". Archaeopteryx. 24: 1–26. ↑ Therrien, F.; Henderson, D. M. (2007). "My theropod is bigger than yours...or not: estimating body size from skull length in theropods". Journal of Vertebrate Paleontology. 27 (1): 108–115. doi:10.1671/0272-4634(2007)27[108:MTIBTY]2.0.CO;2. ↑ dal Sasso, C.; Maganuco, S.; Buffetaut, E.; Mendez, M. A. (2005). "New information on the skull of the enigmatic theropod Spinosaurus, with remarks on its sizes and affinities". Journal of Vertebrate Paleontology. 25 (4): 888–896. doi:10.1671/0272-4634(2005)025[0888:NIOTSO]2.0.CO;2. 1 2 Borenstein, Seth (July 31, 2014). "Study traces dinosaur evolution into early birds". AP News. Retrieved August 3, 2014. 1 2 Zoe Gough (31 July 2014). "Dinosaurs 'shrank' regularly to become birds". BBC. 1 2 3 4 5 Hutchinson, J.R. (March-April 2006). "The evolution of locomotion in archosaurs". Comptes Rendus Palevol. 5 (3–4): 519–530. doi:10.1016/j.crpv.2005.09.002. ↑ K. Padian, P.E. Olsen, (1989). "Ratite footprints and the stance and gait of Mesozoic theropods." Pp. 231–241 in: D.D. Gillette, M.G. Lockley (Eds. ), Dinosaur Tracks and Traces, Cambridge University Press, Cambridge. ↑ Paul, G.S. (1998). "Limb design, function and running performance in ostrich-mimics and tyrannosaurs". Gaia. 15: 257–270. ↑ Farlow, J.O. ; Gatesy, S.M. ; Holtz, Jr.; Hutchinson, J.R.; Robinson, J.M. (2000). "Theropod locomotion". Am. Zool. 40: 640–663. doi:10.1093/icb/40.4.640. ↑ "Abstract", in Chure (2001). Pg. 19. ↑ See Origin of birds/Digit homology. ↑ Some genera within Avetheropoda, however, had four digits, see University of Maryland department of geology home page, "Theropoda I" on Avetheropoda, 14 July 2006. 1 2 Carpenter, K. (2002). "Forelimb biomechanics of nonavian theropod dinosaurs in predation". Senckenbergiana Lethaea. 82 (1): 59–76. doi:10.1007/BF03043773. 1 2 Senter, P.; Robins, J.H. (July 2005). "Range of motion in the forelimb of the theropod dinosaur Acrocanthosaurus atokensis, and implications for predatory behaviour". Journal of Zoology, London. 266 (3): 307–318. doi:10.1017/S0952836905006989. ↑ Molnar, R. E., 2001, Theropod paleopathology: a literature survey: In: Mesozoic Vertebrate Life, edited by Tanke, D. H., and Carpenter, K., Indiana University Press, p. 337-363. ↑ Nesbitt, S. J.; Smith, N. D.; Irmis, R. B.; Turner, A. H.; Downs, A. & Norell, M. A. (11 December 2009). "A complete skeleton of a Late Triassic saurischian and the early evolution of dinosaurs". Science. 326 (5959): 1530–1533. doi:10.1126/science.1180350. PMID 20007898. .
↑ Rowe, T., and Gauthier, J., (1990). "Ceratosauria." Pp. 151–168 in Weishampel, D. B., Dodson, P., and Osmólska, H. (eds. ), The Dinosauria, University of California Press, Berkeley, Los Angeles, Oxford. ↑ Mortimer, M. (2001). "Rauhut's Thesis", Dinosaur Mailing List Archives, 4 Jul 2001. ↑ Carrano, M. T.; Sampson, S. D.; Forster, C. A. (2002). "The osteology of Masiakasaurus knopfleri, a small abelisauroid (Dinosauria: Theropoda) from the Late Cretaceous of Madagascar". Journal of Vertebrate Paleontology. 22 (3): 510–534. doi:10.1671/0272-4634(2002)022[0510:TOOMKA]2.0.CO;2. ↑ Ostrom, J.H. (1969). "Osteology of Deinonychus antirrhopus, an unusual theropod from the Lower Cretaceous of Montana". Peabody Museum Natural History Bulletin. 30: 1–165. ↑ Dingus, L. and Rowe, T. (1998). The Mistaken Extinction: Dinosaur Evolution and the Origin of Birds. Freeman. ↑ Marsh, O.C. (1881). "Principal characters of American Jurassic dinosaurs. Part V." The American Journal of Science and Arts, series 3 21: 417–423. ↑ Matthew, W. D.; Brown, B. (1922). "The family Deinodontidae, with notice of a new genus from the Cretaceous of Alberta". Bulletin of the American Museum of Natural History. 46: 367–385. ↑ Anderson, Ted R. (2006). Biology of the Ubiquitous House Sparrow: from Genes to Populations. Oxford: Oxford University Press. ISBN 0-19-530411-X. ↑ Holtz, Thomas R. Jr. (2011) Dinosaurs: The Most Complete, Up-to-Date Encyclopedia for Dinosaur Lovers of All Ages, Winter 2011 Appendix. ↑ Hendrickx, C.; Hartman, S.A.; Mateus, O. (2015). "An Overview of Non- Avian Theropod Discoveries and Classification". PalArch’s Journal of Vertebrate Palaeontology. 12 (1): 1–73. 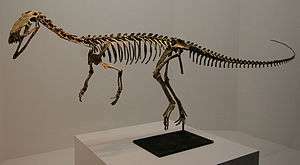 Wikimedia Commons has media related to Theropoda.